The Wednesday Quiz, in its third incarnation, is basically the same old weekly game of knowledge, intuition, inductive reasoning, and willingness to risk public embarrassment in a friendly and moderately supportive environment!! With a minor twist that will probably make it rather difficult at first! Traditionally, it is a closed-book quiz, but who's going to know? Answers sometimes come out Fridayish. 1. It's a kind of ecosystem that makes up about a third of the world's forest cover. And it's usually pretty cold. 2. Whose compositions include "Semper Fidelis," "The Washington Post," and "Stars and Stripes Forever" -- as well as "The Liberty Bell," a tune you are almost certainly familiar with? only in expressing basic human emotions — tragedy, ecstasy, doom, and so on. And the fact that a lot of people break down and cry when confronted with my pictures shows that I can communicate those basic human emotions . . . The people who weep before my pictures are having the same religious experience I had when I painted them. And if you, as you say, are moved only by their color relationship, then you miss the point. It would have to be ________. 4. What religious community's meetings consist of "expectant waiting," often in complete silence, for divine guidance or inspiration? 5. Who is generally credited with "building" this city -- which is to say, commanding it to be built? 6. They had an empire called Oium until they were subjegated by the Huns in 370. They recovered, and founded the successful Kingdom of Italy in the former territory of the Roman Empire by 500. But fifty years later, they were pretty much wiped off the map by the Byzantines. Who were they? 7. What are the orange bits? 8. What is Humphrey Bogart holding here? 9. Often thought of in the United States as a dietary deficiency, this "problem" is shared by most adult mammals and more than half of the human population, including nearly everyone in many Asian and African countries. As full of grief as age; wretched in both! Touch me with noble anger, and put your answers in the comments. Wow, I can't wait for the answers. OK, here are some answers desperately in search of a "minor twist." 2 my brain is saying, "George M. Cohan." I'm still racking my brain for a minor twist--There is no "I" in "answers"? 2. Sorry...not American enough, yet! 9. I haven't thought of lactose-intolerance as deficiency so I was going to say Iron but it doesn't fit the rest of the clue. 2. Some Patriotic composer dude. Sousa was the director of the Marine Corps Band (for which he composed many marches.) On the side he composed ballads and other pieces. Eventually he resigned and formed his own band, going on tour as well as producing operettas for the stage. He was very prolific as well as successful--not just 'some patriotic dude'--and the music of 'The March King' continues to be popular. We have a cylinder recording of Sousa's Band--it is 100 years old, and we listen to it on our Edison gramophone. Drop in--we'll play it for you! a) Hurray for the return of the Wednesday Quiz. All Hail the Wednesday Quiz! b) You're right: this is hard. c) How dare you appear to relax the restrictions on using reference material. I'll know is who. I'll never cheat. d) I will, however, drive myself mad trying to guess the minor twist that is blamed for making it rather difficult at first. I'm wanting there to be some theme to the answers, something akin to the first letters being the same throughout each quiz, except more diabolical. Perhaps the first letters are the same if I answer in German. Perhaps they all end with the same letter. I've bolded the answers with which I have more certainty in order to inspect them for commonality. I'm desperately curious to look at the answers to see if anyone else has figured it out, but I have to finish my answers first. The thing is, Michael says the twist will make it difficult at first which implies that later it will cease making it difficult. And I chose to interpret "at first" as "until you figure out what the twist is" and further insist that the twist can be figured out on the first quiz, with certainty on fewer than half the answers. Of the four I'm sure of, two end in on and two have the first word ending in vowel-se. I can't really manage to do anything with that though, so we'll procede to my answers without a clever solution. They'll have to be in a spearate comment, because Blogger says this one is too long. 1. I probably live in it. I think it's called boreal forest. It's not tundra or taiga, because those are characterised by open tundra, i.e. a lack of forest cover. Is that a sort of ecosystem? A boreal ecosystem? Could be. Also, I really like beavers. 2. Waah, American content and music together: it's like I'm a vampire and this question is a cross made out of silver, garlic and oaken stakes. Semper Fidelis is the motto of the US Marines, so presumably it's also their team theme song. The Washington Post sounds like a newspaper, but I guess it must be a trumpet song, like The Last Post, too, or it would make no sense in this list. I don't know The Liberty Bell, but from the way Michael describes it, you know it's actually something like Happy Birthday or Pop Goes the Weasel or the theme from Star Wars, that we do all know. I just remembered the name Francis Scott Key, but I think he wrote the American national anthem, the one with "O Say Can You See" but I'm not sure of it's actual name, so it could be Stars and Stripes Forever. "O say doth that star spangled banner yet wave" kinda matches up with that, no? The only other composer names that are coming to me are Alexander Courage and Scott Joplin, and I'm pretty sure it's not either of them. So I'm going with Key. 3. You say "abstract art" and, despite all these quizzes, all I can do is say "Picasso," or maybe that K-guy, Kandinsky? But I'm going with Picasso. 4. I think this is Quakers, or perhaps they call themselves Friends. 5. Peter the Great of Russia. I have a picture of him on his horse in my bathroom. He visited Venice and he liked it, so he wanted canals at home. I like that the antecedents in that sentence are so vague that you can believe my bathroom in Venice, and can accommodate a mounted tsar. 6. Visigoths. I just like saying "visigoths." I said it already yesterday, so that's two days in a row. 7. Representations of neutrons in a model of a nitrogen atom. 8. The Maltese Falcon which is probably a McGuffin. 9. Sounds like we're talking about a mutation propagated in some herding societies that gave adults a neotonous ability to digest milk. Those lacking the mutation are said to be lactose intolerant. Second guess: going long enough between meals to feel hungry. 10. Someone from Shakespeare, I'd say that guy on the island in the Tempest, except he only had one daughter. How about Laertes, because I'm wondering if there's some weird dipthong thing going on here. Is Laertes even from Shakespeare, or is he from Sophocles, or maybe the bible. Oh man, I'm really grasping at straws. Did King Lear have daughters? Which Shakespearean father ever gave a crap what his daughters thought? Let's go with King Lear. Well done Lamanyana and Voron X! I had the wrong strategy. I was thinking I had to go further from the "first letter" trope to find the link and I wasn't examining them in situ. I wish to point out that as a Canadian I was particularly hindered from getting the desired answer for the first question. I wondered why other people were putting tundra and taiga for forest. Wikipedia shows that Canadian usage has the boreal forest as the forested part and the taiga is the barren part, Americans call both segments taiga. 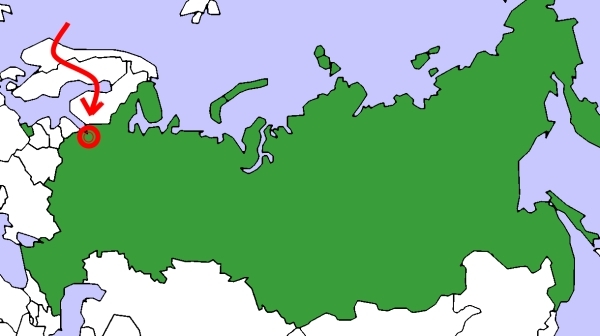 The Russians call the forest taiga and the barren part tundra, but the question was in English. The people who called it tundra are just wrong. Geeez, I should have got it. I had K L M N _ P Q. In consolation it wouldn't have helped me get O R S or T, because I didn't know about those other sort of goths, or the R or S guy and I still would have been rattling on about tundra and taiga being barren, as I have for three out of four comments now. I missed the quiz, Michael! Thank you for bringing it back! Hrmm, have you abandoned the pattern, or am I missing something? 4. Maybe Moonies? I should know this, I feel. 5. You won't trick me into saying Lenin, you big trickster. It was good olg Peter the Great, I think. 6. Some kind of Goths...Ostrogoths, Visigoths...I'll say Ostrogoths and then feel dumb when it's the others. 7. 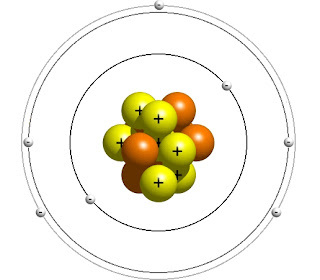 They're neutrons! Hoorah, I got one! 8. 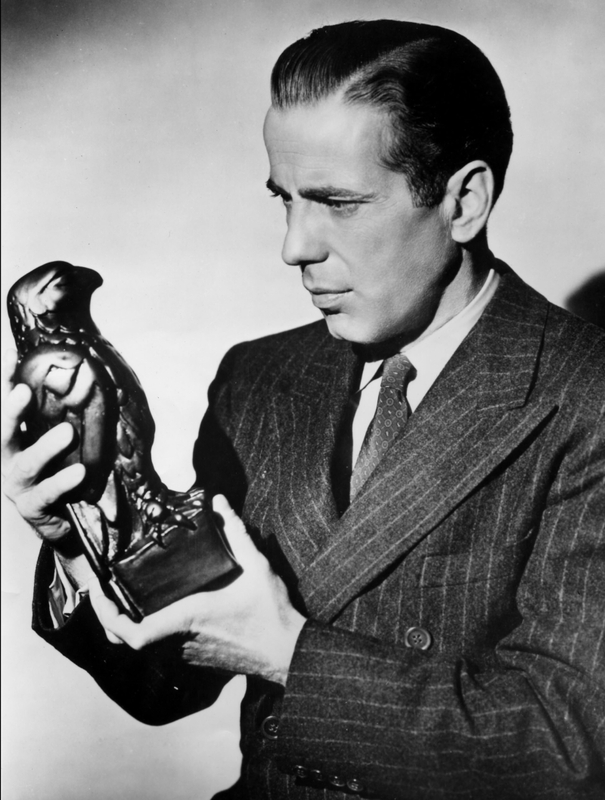 Is it a Maltese Falcon? 'cause that would make sense. 9. I think this is Lactose Intolerance..does that seem right? Yep, no idea about the theme, but...it's good to have the quiz back, Michael. You did awesome, UO, and thanks for backing me up on the boreal forest. The Yanks do cal it something different, as you'll see from my three, or is it four, possibly five, counting this one, comments addressing the subject. I'm ust so glad M5k is back I can't stop commenting. Also I keep wanting Pyotr Pyervyi to have built this city on rock and roll. Yah! 2. who's-a that guy? sousa that guy! 4. sounds like zen, but it ain't zen. dunno. 8. the stuff that dreams are made on. oh, wait, it's lead. never mind. I hope Michael doesn't get all excited about the number of people who have played the quiz, and then disappointed because it's just me all excited about the quiz being back, and having a lot to say about it. For example, I'm delighted that it really was goths, even if it wasn't Visigoths, because I was totally guessing, so it's fun to be close, and also I got to learn about Ostrogoths, which may be even more fun to say. I'll try it out tomorrow. I'm excited, too. Sorry about 'tundra.' I knew it was wrong from the get-go, but when I do not know the right answer, I usually stick any old thing in there (and there wasn't room for the kitchen sink.) As you may have noticed, I missed most of these. If you played a band instrument, you would have gotten Sousa. 'Stars and Stripes Forever' (not the same as our anthem) has a very memorable piccolo solo. You would know this march if you heard it, I feel sure. Elaine, no need to apologize for tundra, unless I need to apologize for Picasso and Francis Scott Key. I know what a piccolo looks like, but I'm not sure I can distinguish Stars and Stripes Forever from Peter and the Wolf. I had a discussion already with the person to whom I had the earlier opportunity to mention Visigoths and we are agreed that Visigoths are still cooler than Ostrogoths, but it's good to have both. Curioiusly the browser spellchecker knows Visigoth and Ostrogoth, yet accepts Visigoths but not Ostrogoths. Perhaps it thinks there was only one Ostrogoth. His name was Ildebad. 8. The Maltese falcon, yo! ... the twist is that they don't call start with the same letter, right? Also, Aviatrix, I'm American and I was taught in school that taiga is the dense northern forest of the sort you find in Russia. Later, I learned that Canadians call their own forests the "boreal forest" but it is the same type of ecosystem. I was taught that tundra is a northern desert ecoystem. I should probably know more of these, and I probably would guess better if I knew the "twist", but I don't, so I didn't. Ah well. Ben you just need to guess more enthusiastically. Don't guess like it mattered that you got the right answer; guess like it's an opportunity to write "Visigoth" or "mongol hordes.". Sometimes you'll be right, and that's hilarious. It is a longstanding joke inthe Goth subculture that the VisiGoths like go go out to the clubs or concerts and party all the time, while the OstraGoths just stay at home, burn their candles and incense, listen to music, mope, and write bad poetry. I am a little late with the answers, but it's just because I got all excited by how many people were playing the quiz, and then I saw that it was just Aviatrix being excited about the quiz being back, and also it's the new twist.